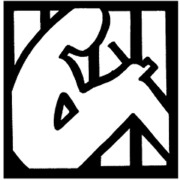 The Beat Within is a magazine of writing and artwork by and for incarcerated youth. Our volunteers are the pulse of our organization, and we could not do this deeply restorative work without you. As a workshop facilitator, you would be hosting workshops on various topics (that we provide you with), guiding the conversation, mentoring youth through the writing process, and typing up/editing their pieces. You don't need to be a writer or an academic for this work, nor do you have to have deep knowledge of the juvenile justice system. All we ask is that you approach our organization and our youth with an open mind and the desire to empower young people. Make a monetary investment of $50 for a background check, completed by The Beat Within.